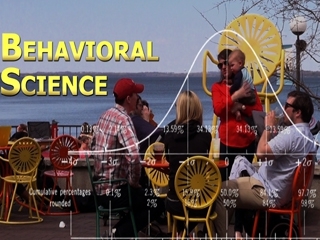 Behavioral Science presents, in a unique way, a comprehensive overview of the science of human behavior, a science that has been with us since the 19th Century. Scientists know that evolution and genetics can account for up to 50% of our human nature and our behavior. The rest is determined by experience and context in ways that are not totally clear. Because of this, the discipline of Behavioral Science is an exciting multifaceted, multidisciplinary scientific approach to defining and understanding human behavior from individuals, to families, cultures and societies. In the 21st Century its unique insights and discoveries will advance the well being of all people. Behavioral Science – Extended Interviews is a 24-part series that thoroughly looks at the complexities of behavior with the leading experts in the field.